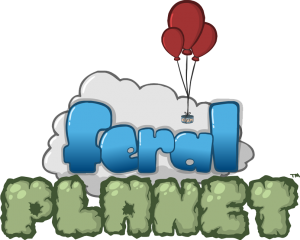 Long-time OGDA members, KillSmile Studio submitted their flying side-scroller, Feral Planet to the Indiecade conference earlier this week. If they get accepted, they will be able to present it on-site as part of the festival of games. This usually means great exposure to a wide audience — especially if they win one ore more of the awards. Additionally, they could be considered for inclusion at the Indiecade “booth” at E3! As part of the submission, they put together a gameplay trailer and have released it to the public. Check it out! Good luck to our dear friends, Tyler White and Lucas Hartman — and their audio guy for hire, OGDA member Chuck Larish! This entry was posted in Announcements, Company News and tagged Chuck Larish, Feral Planet, game, Indiecade, KillSmile, Lucas Hartman, Tyler White. Bookmark the permalink.